The following notes are primarily taken from the TPV Developer (TPVD) meeting held on Friday, April 8th, 2016. A video of the meeting is embedded at the end of this report, my thanks as always to North for supplying it, and time stamps in the text relate to this recording. There was no scheduled deployment to the Main (SLS) channel this week. All three RC channels received the same server maintenance package, comprising a fix for (non-public) BUG-11163 llHTTPRequest returns 400 from some sims and not others, and some minor improvements. Assuming nothing goes sideways with this update, it should be promoted to the Main channel in week #15 (commencing Monday, April 11th). As of the Server Beta User Group meeting on Thursday, April 7th, it seems that there will not be any RC deployment in week #15. A new Maintenance RC viewer, version 4.0.4.313759, arrived on Friday April 8th. This includes fixes for a range of issues related to viewer crashes, memory leaks, input/cursor issues, graphics bugs, formatting, notifications, etc. This Maintenance viewer sees invisiprim texture UUIDs revert to their “old” behaviour: they will mask whatever they are covering (feet, water in dry docks or in boats, etc) when ALM is disabled, and are ignored when running with ALM enabled (see here for further background on recent changes to how these texture UUIDs are handled by the SL viewer). During the TPVD meeting, Grumpity Linden described this as a “partial” fix [11:35, in text], and Oz Linden indicated that the Lab has not reached a final decision on how these textures should be handled in the future [18:35]. both of these comments suggest further work is yet to come with how invisiprims are handled. [00:50] The Quick Graphics viewer, version 4.0.2.312297 at the time of writing, is being merged with the current release viewer code, but still has some remaining bugs to be resolved. It would therefore seem unlikely this viewer will be promoted to release status in the immediate future. [31:44] Testing has shown that this viewer is relatively successful in preventing people wearing mesh graphics crashers from crashing it. While those using this viewer can experience a drop in frame rate in the presence of such crashers, they tend to remain connected to the simulator. [33:24] A further change to the view means it no longer uses attachment geometry when calculating avatar complexity. This should prevent situations where setting the Avatar Complexity slider in the viewer to Unlimited still results in some avatars still appearing as solid colours. [35:00] However, the recommendation is that if you want to have avatars mostly rendered normally but still have protection against like graphics crashers, you set the Avatar Complexity value to 350K rather than Unlimited. [36:05] Avatars rendered as solid colours have been informally referred to as “Jelly Babies”. However, as this is actually a trademarked name (Bassett’s / Cadbury-Schweppes / Mondelēz International), the Lab prefers that it is no used, and are informally referring to solid colour avatars as “rainbow avatars” and more formally as “muted avatars”. [06:49] The Lab is still committed to getting the Oculus Rift project viewer, version 3.7.18.295296 and dated October 2014 at the time of writing, updated. Progress has been slowed due ongoing changes in the Oculus SDK. However, the plan remains to have this viewer support the consumer release version of the headset. [28:48] The Lab has started building 64-bit versions of their Windows and Mac viewers. There is no firm date on when these will appear as project viewers, but the progress to date has been relatively rapid. [07:40] The recent HTTP / Vivox release viewer (version 4.0.3.312816) contains a number of updates to improve issues like Voice quality, drop-outs, connection failures, etc. The Lab has suggested TPVs might want to investigate dropping the updated voice package into their own viewers, if not about to update to the 4.0.3 code base, so users can benefit from the newer Voice package. [08:40] There have been instances of widespread Voice drop-out across SL recently. These are apparently the result of DDoS attacks aimed at the Vivox services, rather than any issues within SL. Vivox are working to reduce the impacts of these attacks and improve service resumption following them, but the current updates provided to the Lab obviously won’t help when these issues occur. However, an upcoming version of the Voice package should over improvements when reconnecting to the Vivox services after problems have occurred. [10:25] In addition to the above, the Lab and Vivox are also working on various security and privacy improvements around Voice. When these are available, they will form a new version of the SL Voice package which will not be backwards compatible with older viewers. [01:05] There was no Bento User Group meeting in week 14. 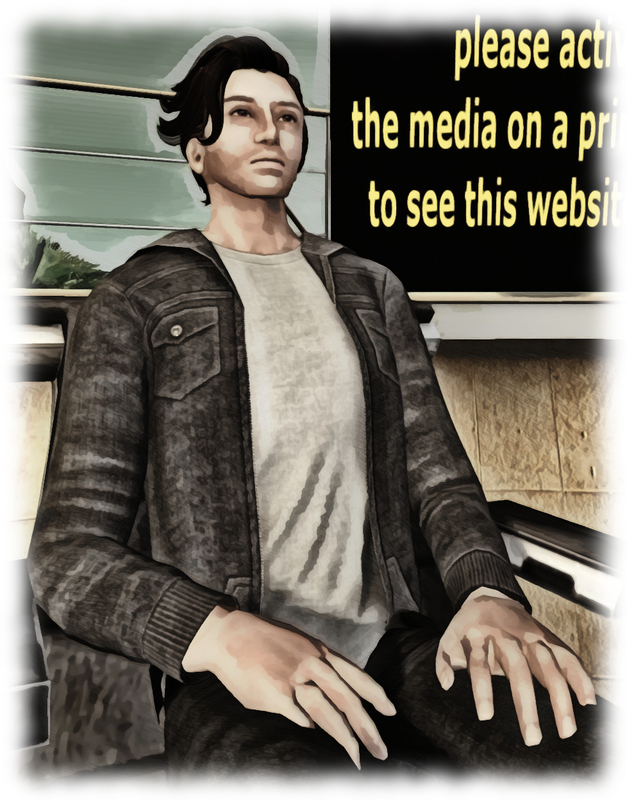 Sessions will resume on Thursday, April 14th on Aditi at 13:00 SLT. The skeleton is close to being frozen, with 123 bones (plus the original collision volumes) and a number of extra attachment points. It is not believed that so complex a skeleton will impact viewer performance. Testing has indicated that the total number of bones in the skeleton is not as important as the number of joints any given mesh is rigged to, which can cause graphics issues, and so it is this that has been limited. The current plan is for a further project viewer release for use on Aditi, to be followed (possibly in Q2) by the project moving to Agni, where it will undergo a further extended period of testing (including more performance testing as a result of the viewer being exposed to a broader cross-section of end-user systems) with both project and RC viewers. [11:56] Currently, when you click on a Second Life map link or SLurl on the web to try to reach a place of interest in-world, you call a web widget which goes through a couple of steps: first the maps page launches, then you have to click the Visit This Location button. If the person clicking on the link does not have a viewer installed on their system, they will be taken to maps page. For those with multiple viewers installed, this should still result in the most recent viewer installed being launched on Windows, and the viewer with the highest version number being launched by OSX. The new widget also removes any dependency on jQuery. [20:00] It is not clear whether this is an issue affecting viewer in general, or specific to Firestorm. However, there have been a range of issues recently relating to disconnects between an avatar’s apparent location relative to another and their actual location. One example is you can see another avatar’s local chat, but cannot see them and the People floater reports them as being perhaps several hundred metres away (X,Y or Z), while attempting to zoom to them seems to show them as being off-region, yet if they sit down, they’ll then appear to be next to you. The issue seems to come in several flavours of this basic form, making it hard to repro for the purposes of bug reporting, and appears to have started around the time the fix for BUG-6648, was implemented. Given it is difficult to repro, the Lab suggests that anyone encountering any variation of the issue files a JIRA with screen shots of the situation, together with their viewer logs. Regarding the avatar location glitches, I can happily (?) report that it’s not just a Firestorm problem. Alchemy, Catznip, and even Black Dragon have played the same trick on me on occasion.